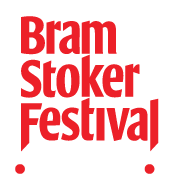 Bram Stoker Festival presents the world premiere of this much-anticipated new show with internationally renowned dance artist Colin Dunne, created by theatre maker Joan Sheehy. A haunting, theatrical experience exploring the chilling, tension filled voyage of the Demeter as it brings Dracula from Romania to the port of Whitby. Using the Captain’s log as the central framework, this multi-layered performance piece re-imagines the power of Stoker’s gothic masterpiece in the hauntingly evocative Boys’ School. Suitable for adults and teenagers but not a children’s show.